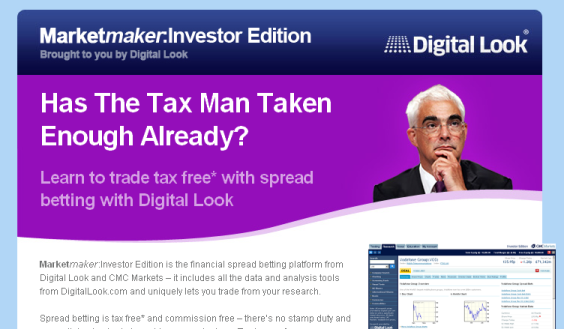 Marketing a spread betting platform to self-directed private investors can be complicated. Many still need to be convinced that spread betting is an appropriate investment vehicle before they even begin to assess the different providers in the market. However, at all times we needed to ensure that the key USP of the platform (the ability to spread bet with Digital Look tools) was stressed to the customer. This particular ad campaign started with online display and was supported by email marketing and e-newsletter placements. Ads ran on the Digital Look website and were marketing a Digital Look branded product – therefore it was important to maintain DL branding through the ads. 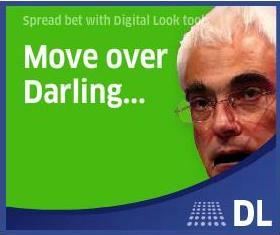 Humour was key in this ad – rather than simply stressing that spread betting is a tax-free investment tool, we decided to poke fun at the then-Chancellor, Alistair Darling. The biggest challenge in this campaign was in convicing a rather conservative Compliance team that this was an appropriate way to market spread betting. Another successful marketing campaign for the spread bet platform! Higher than average click-through rates and higher than average customer acquisition numbers.